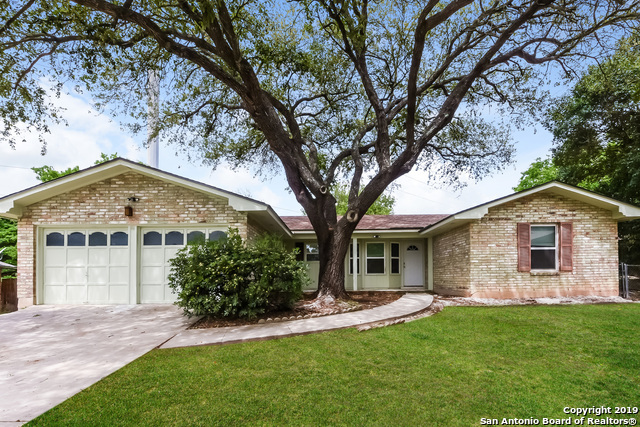 All FOREST MEADOWS NS homes currently listed for sale in San Antonio as of 04/26/2019 are shown below. You can change the search criteria at any time by pressing the 'Change Search' button below. "Clean and Move in ready property with Kitchen updates. Priced to sell!! This home wont last. Beautiful Mature Trees located in Leon Valley close to shopping, dinning, entertainment, medical center, and schools. Gas cooking and more. Beautiful spacious Sunroom. Need storage space not a problem! Boasts 2 Storage Rooms and one Shed. Love Gardening? Large Garden Ready for all your home grown vegetables. Sq.Footage Approximate." "This San Antonio one-story offers a covered patio, multiple closets in the master suite, and a two-car garage. Upgraded features include new carpet in select rooms and fresh exterior paint."